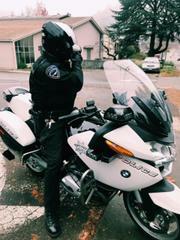 On Monday December 10, 2018 the Central Marin Police Authority conducted a special traffic enforcement operation in San Anselmo. During the eight-hour operation a total of nine officers from several agencies conducted 59 traffic stops along the Sir Francis Drake Boulevard corridor. The stops were for a variety of vehicle code violations including unsafe speed, stop signs, distracted driving, red light, and seat belt violations. 53 citations were issued and one person was arrested for an outstanding warrant. Our Sir Francis Drake High School is located on this particular stretch of Sir Francis Drake Boulevard. Of the 53 citations issued, 35 were for distracted driving – usually cell phones were involved. Only one of the 35 cites was issued to a juvenile driver. Having this in mind, please remember to drive as if every child on the street were your own. We want to thank the California Highway Patrol, and the Novato and San Rafael Police Departments for their assistance in yesterday’s operation. We are proud to work with our partner agencies in a combined effort to make our roadways safe for everyone and to remind drivers to follow the rules of the road. We wish everyone a Happy and safe Holiday. Please drive with reason this holiday season!